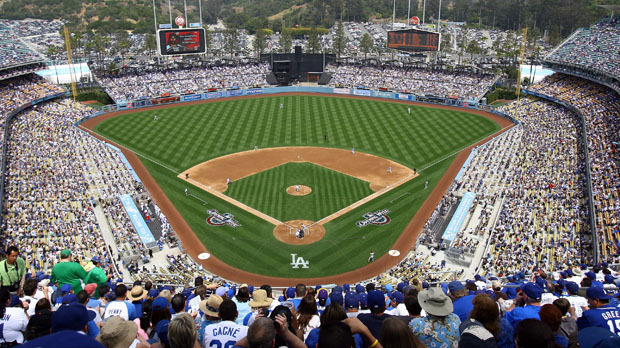 The 2014 MLB season is officially underway and so are the Dodgers hopes of reaching the World Series. Already leading their division (NL West), Dodgers have the star power, coaching power, and fan power to go all the way this year. With the bat of Adrian Gonzalez, the left arm of Clayton Kershaw, the wisdom of Don Mattingly, the talent of Yasiel Puig and a healthy Matt Kemp, the Dodgers are well equipped for an incredible season. The main concern for the Dodgers this year will be if everyone can stay healthy. After enduring some major injuries to key players last season, they were still about to make the National League Championship Series. Which I believe is a testament to the strength and overall talent of this organization. With the exception of Kershaw, all starters are currently in great health. Another mild concern is the maturity of Yasiel Puig. After experiencing a rock star lifestyle last season with his sudden success, lets hope that Puig will once again make baseball a priority, instead of dating the hottest supermodel. Overall, I am excited for Dodgers baseball this year. I believe the front office did an exceptional job at assembling a talented roster. This is definitely the year for the Dodgers, and I would be shocked to see them finish anywhere less of a World Series appearance. For now, I am going to sit back, relax, grab a Dodger dog, and enjoy the best show on Earth.